Chuck Levine and Larry Valentine are two firefighters. 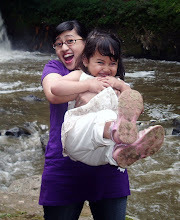 They are good friends. However, Larry is a widower (with two small children) and Chuck is single. Larry dares Chuck one day to eat a dead rat, but he falls from the ladder that he was going to the drop the rat from. Chuck saves him but the two are rushed to the hospital and quickly recover. Larry calls in that favor big time when civic red tape prevents him from naming his two kids as his pension beneficiaries. All that Chuck has to do is claim to be Larry's domestic partner on some city forms. They think it will be easy because nobody will ever know. 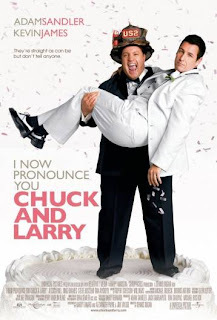 After Chuck agrees to the ruse (though reluctantly so, due in large part to his notorious womanizing), the two men go to Niagara Falls to get married, and Chuck moves in with Larry and his unsuspecting kids. But an official becomes suspicious, and the new couple's arrangement becomes a citywide issue and goes from confidential to front-page news. Forced to improvise as love-struck newlyweds, Chuck and Larry must now fumble through a charade of domestic bliss under one roof. After surviving their mandatory honeymoon and dodging the threat of exposure, the well-intentioned con men discover that sticking together in your time of need is what truly makes a family.